This sheet cake was made for Liliana's Birthday. 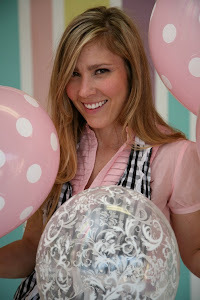 The design request was for pastel polka dots & "springy" since her birthday was also on the first day of Spring! 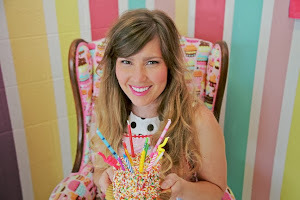 It was a white cake w/ fresh strawberries, whipped cream filling & icing & buttercream & colored whipped cream details. Just wanted to say thank you again for Liliana's cake. It was exactly what I wanted it to be in terms of flavors, texture and looks. It was perfect and everyone enjoyed it!!! I will definitely recommend you. Thanks again!" 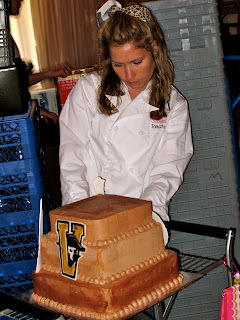 This grooms cake was a surprise for Mary Benton's fiance! It was a chocolate cake w/ chocolate buttercream! The fondant details were all little parts of the groom's life! This cake was made for my awesome graphic designer Talya's mother in law. 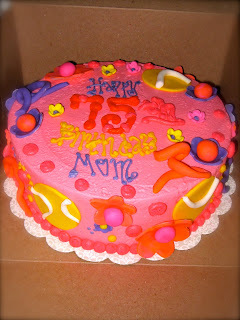 She requested a tennis cake with bright colors & flowers!! 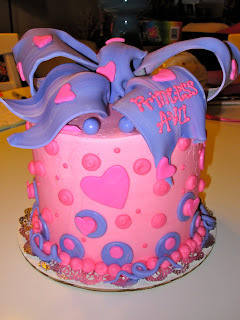 It is a chocolate cake w/ ganache filling, buttercream frosting & fondant details! This sheet cake was for Mike & Telzey's Birthday! It was a white cake, with ganache filling, whipped cream frosting & buttercream details! 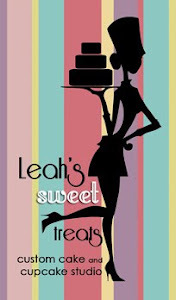 "Leah! The cake was fantastic! I gave out all your cards, everyone was very impressed! Thanks again, the cake was great! Do you have a spot for recommendations on your website?" These cakes were made for Ava's first birthday! 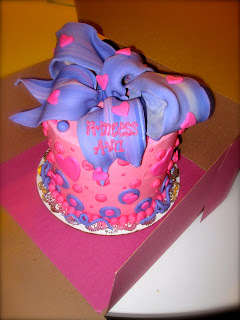 She had a pink and purple "princess" themed party! They are both white cakes w/ white buttercream filling. 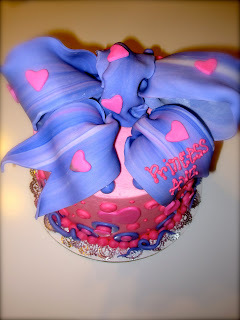 The 6" Cake has a fondant bow with fondant and buttercream details. Thank you so much for Ava's cake. Everyone at the party raved about how beautiful it was. And also it was delicious!!! I gave out a few of your cards and I am telling everyone about you. 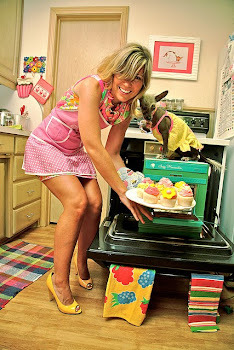 I m looking forward to having another special occasion to order a cake from you. This birthday cake was made for Jonathan's 18th Birthday. It is a white cake w/ chocolate fudge filling and chocolate buttercream icing. This was my artistic buttercream interpretation of Camouflage :) He loves fishing and hunting! 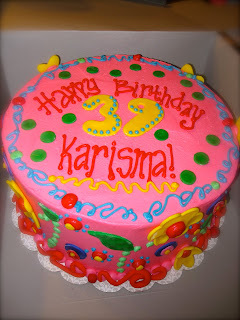 This bright & funky cake was for Karisma's 39th Birthday! It is a chocolate cake w/ white buttercream filling, and buttercream & fondant details! The birthday cake was a HUGE hit!! It was fabulous and delicious! I can guarantee more customers coming your way!!! Thank you so much!!! "